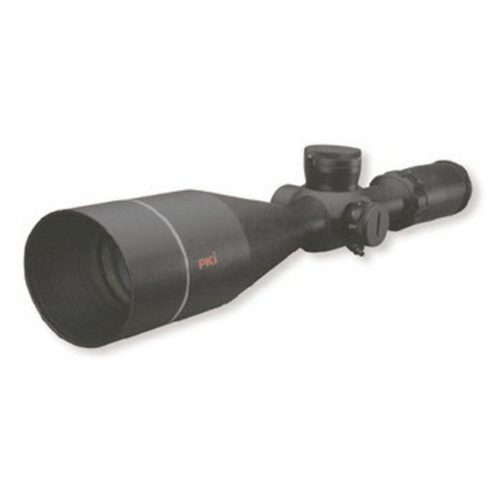 We are prepared to offer rifle scopes in multiple versions. Please ask for a quotation. PKI 5120 is bullet-proof also against large calibres and features unparalleled light transmission with fully tempered optics. It is filled with nitrogen against internal moisture. PKI 5120 is equipped with a Duplex reticle providing a cross hair with thin and thick crossing lines for precision aiming. Thick bars on the perimeter and thin ones in the middle allow the eye to quickly locate the center of the reticle and the thin lines in the center allow for precise aiming. Our valuable Duplex reticle offers a a high hit ratio even at long distances.